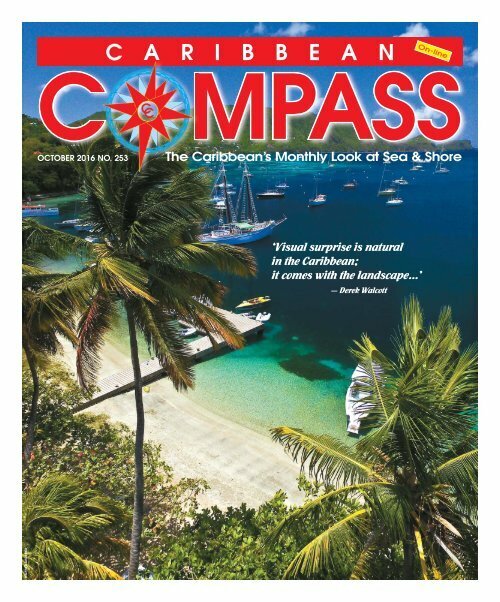 WHAT’S ON MY MIND OCTOBER 2016 CARIBBEAN COMPASS PAGE 40 Random Kindness in Martinique by Lindsay Bindman I used to play a game with my friends while walking somewhere or having a few drinks. We’d ask one another to imagine arriving in a foreign city, where we knew no one, and with only a small sum of money. The fun part would be having to create a plan. What would your first move be? Well, I got to try this out in real life. I had been sailing the Caribbean islands with my dad for almost 70 days, and was becoming very aware of how long it had been since I’d last seen my friends, family and particularly my mum. This was the longest we had ever been apart. So this story began the moment I had convinced her to fly down for a visit. The best option for her flights meant flying into Martinique, a French island. The only problem was that she was to arrive on a Saturday, and by the Wednesday prior, we were in les Iles des Saintes at the south of Guadeloupe, two islands and 75 nautical miles north of her destination. My best plan was to sail with my dad to Dominica on Thursday and rest for the night before continuing 30 more hours to Martinique in time to meet my mum at the airport. But the weather wasn’t looking good. Each of our buddy boats agreed, we might make it to Dominica by the weekend, but not to Martinique. On to my next plan. Surely if we could get to Dominica, I could easily take a ferry the rest of the way on Saturday morning. So, I rowed and then walked into the quaint little town of Terre-de-Haut, in les Iles des Saintes, and up to the tourist office. I used my rusty French to inquire about such a ferry. Even if I could not book a ticket there, it would at least give me some peace of mind. However I was not in luck. No ferry from Dominica existed. In fact, the only ferry that would be travelling to Martinique the entire rest of the week was leaving here the next morning at 9:00AM! If I had learned this any later I would have missed the opportunity. So, my final option meant leaving the following morning — two days before my mother would even fly out of Toronto — and catching a ferry coming from Point-à-Pitre in Guadeloupe, stopping in Terre-de- Haut to pick me up, and carrying on to Martinique. Booking this ticket was not easy though. After four trips to and from the cybercafé, jogging and rowing back and forth to the boat for forgotten items — my passport, security codes for my credit card, and so on — I finally booked my ticket. The process was stressful — I knew it was my last resort. The pressure was on. This must have been apparent because a nice guy in the café bought me a beer afterwards to help me become more “tranquille”. He congratulated me on finally getting my ticket. Now I really would be in a foreign city — on an island where I knew no one, had no plan and had two days to kill. I couldn’t have been more excited. On the morning of my ferry, my tummy filled with butterflies, the kind that come from being anxious. I just hoped the ferry would come as planned. But as I saw the massive blue catamaran arrive, the butterflies disappeared and excited anticipation was all that was left.  With nothing more than a backpack to carry a change of clothes, a book, my toothbrush, wallet, passport and cell phone, I waved to my dad below on the ferry dock. As he got smaller and smaller, I began to think about what was in store for me as I began this new adventure. I had glanced at some accommodations on Airbnb while having a drink the day before, but the WiFi wasn’t reliable enough to book anything, and I wanted to check them out in person. The ferry travelled a hell of a lot faster than our sailboat, for which five or six knots seemed fast. After only three hours I’d reached Martinique — a journey that would take my dad and our friends many days to complete. Waves that would come crashing over Vagabond’s bow, leaving me soaking wet, barely caused the several-thousand-ton ferry to rock. Upon leaving the ferry and stepping into the town of Saint Pierre, I was surrounded by people in the scorching afternoon sun. After asking several people with my basic French knowledge, I learned that because the 14th of July is Bastille Day, a big holiday, none of the taxis or buses were running. Just my luck! A man claiming to be a private taxi offered to take me to a chambre for 35 Euros a night, but something didn’t feel right, so I kept walking, beginning to feel discouraged. Then, I spotted a van with the words “Fort-de-France” on the front. This is the capital of Martinique, also the location of the airport that I would need to travel to, to meet my mum. If I could find a hotel room there, it would save me some trouble on the other end. I managed to stop the van and asked the gentleman driving if he was heading to Fort-de-France. Maybe it was a taxi van? A private taxi? It was worth a try. Unfortunately he said no, so I kept walking, hoping to find better luck farther down the road. I asked a woman with two young children about finding a room to stay and she gestured even farther down the road, but didn’t seem too hopeful because of the holiday. Everything seemed to be closed. The front of the house had no exterior, no doors, just a deep entrance into the lower level, which included a kitchenette, three bedrooms, a bathroom, and a dining table. Up the stairs was a larger kitchen and a beautiful living room, with an incredible balcony between them. Down the hall were more bedrooms and another bathroom. It took me at least an hour to process my fate that had unfolded. They fed me rum and an incredible fish dinner, complete with homemade ice cream. Each additional act of kindness made the whole experience even more unbelievable. It was a very unusual feeling to remain quiet for most of the meal, because my French wasn’t quite good enough to keep up with the speed of their conversation. After dinner, I thanked everyone many times, still stunned by their kindness. Despite being exhausted, I lay in bed awake and alert in my foreign surroundings. Most people are familiar with seasickness, fewer know of land sickness. After 65 days on the boat I was extremely conscious of the stillness in the room. I realized how familiar I had become with every sound on the boat. The dull rattling of the anchor chain, the wind generator, the creaks of the wooden floorboards, the water. All these sounds were replaced with new ones that night. I was thinking about what the next day would bring and whether or not I should accept their kind offer to let me stay until it was time to meet my mum on Saturday afternoon, or to ask for a ride back into the city where I could find a hotel for Friday night. Undecided, I fell asleep, doing French verb conjugations in my mind. ‘I couldn’t believe my ears. I was convinced that my French was failing me and that I had misunderstood them’ After walking for an amount of time I can’t recollect The next morning, I awoke around 7:00AM. Denis, with accuracy, I heard someone calling to me. I looked the owner of the home and a lovely man, came by my over my shoulder and saw the same gentleman in the room shortly after to give me a towel for the shower van whom I had asked for a ride. He had evidently and say good morning. After my shower, his wife, changed his mind as he confirmed that I was heading Nicole, offered me coffee and a chocolate croissant. to Fort-de-France and then offered me a ride. Gratefully, Some of the family went to the beach, and I stayed in I hopped in. the living room with Denis, enjoying my coffee and There were about eight or nine people in the van. At reading my book. We chatted quite a lot considering I first I thought it was some form of taxi, making stops wasn’t totally confident in my French, but I think I on the way to Fort-de-France. But after driving for improved over the course of the visit. By late morning, almost an hour, no one had gotten out. The landscape slowly changed from beaches and small shops luxury for me in my new sailing lifestyle. I was able to I was able to get the WiFi password, which is truly a into a very developed city. Grocery stores as big as let my dad know I was safe, and shared my incredible those back home, casinos and tall buildings were luck with my mum. sights I was not used to after cruising the Caribbean Denis gave me a guidebook for Martinique and for so long. helped me to choose a modest hotel on the beach for Eventually we stopped in front of a huge hotel. my mum and me the next day. I managed to book the However, without even needing to leave the van, it was very last available room. Denis offered to drive me to clear that it was closed. Three more hotels were tried, the airport the next day to meet my mum. With the and as I learned one after another that they were help of the internet, I used an online translator to help closed, closed, closed, I began to feel a little scared in me articulate just how thankful I was for his unfathomable kindness. this massive metropolis. There were four young children in the car, three I now sit in their living room, home alone! Denis has women and two gentlemen, including the driver. I gone to the store. I’m trying to conserve the battery on thought maybe these passengers were comprised of my laptop as the outlets here cannot accommodate my two families. They had made several attempts to converse with me but I only understood some of their reunited with my mum, and beginning an entirely dif- charger. In just over 24 hours I will (fingers crossed) be words, and had a hard time responding to their questions. In any case, they seemed aware of my growing But as long as I live, I will never forget the generosferent adventure. concern. The next thing I knew was that they were ity of this beautiful family. I will spend the rest of the insisting I would come to stay at their home! I couldn’t day thinking of possible ways to repay them. believe my ears. I was convinced that my French was failing me and that I had misunderstood them, but Lindsay Bindman, age 21, is sailing with her father sure enough we were leaving the big city of Fort-de- and captain, Dan Daniels, aboard Vagabond, a France, and driving into the countryside, which I later Vagabond 47 ketch built in 1979. learned was called Vauclin. It turned out to be one big, lovely, welcoming family. I did my best to commit their names to memory, and to learn how they were all related. As we pulled up to their house, my jaw literally dropped. Not only had I the good fortune of encountering an incredibly kind family, but evidently they were pretty rich as well. Their beautiful home reminded me of a loft in style. Page 33 and 34: LOOK OUT FOR… Red Hot and Furry!